Microsoft Windows recently publish that there windows defrnder got a new look on this summer. And also it doesn't needed the preview builts for this update. 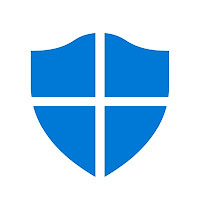 Microsoft also decleared that the windows definder also more secure than before and got more security updates than earlier. Microsoft also test a way that how user can test the preview without insider builts. Fishing is a hacking technique that allowes hacker to fool people to get hacked. The hacker planed a website as a tarp that is look like a original authenticated website and send it to a person that is the victim, then when the victim enter his or her personal information in that site the person get hacked.This information is about "what is hacking?" And not provide any technique about it.